You have a website that’s getting good traffic but isn’t producing conversions. If that describes your problem, one fix is a more strategic content plan aligned with a classic marketing funnel. Need a website audit? Call us at (443) 475-0787 or Contact Us online. 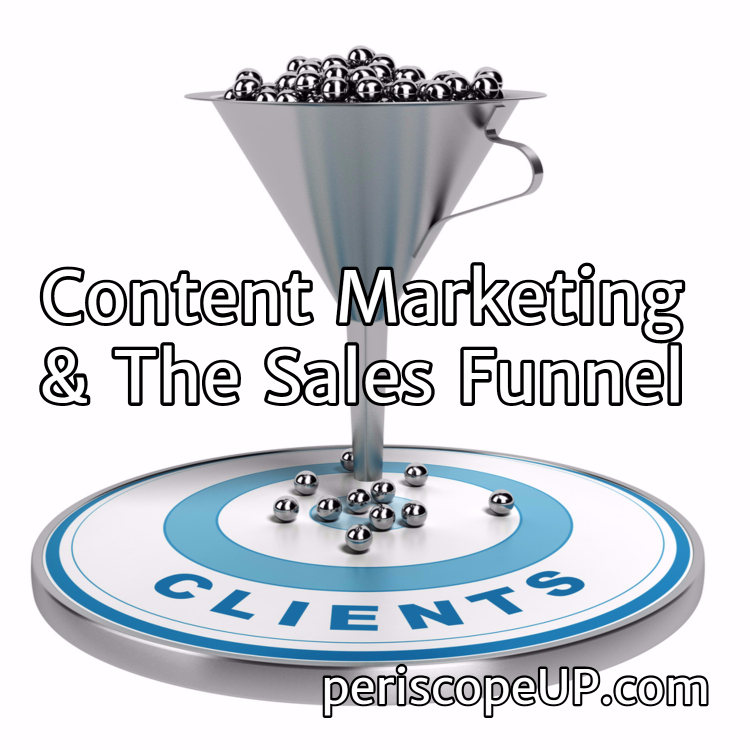 Is your content serving the objectives of one or more stages of the funnel? Is there a clear plan on how the content moves the visitor from one stage to the next? Or is your content more or less just tossed up there to keep the site looking current? In short, are you thinking strategically about how your content is used to market your business? Let’s assume you’re entrusted with the task of generating leads for a real estate law firm through their website. Here’s how strategic content marketing might work in this case. The first two stages of the funnel – awareness and acquisition – might be folded together sometimes. Although the firm may have billboards or other advertising that handle awareness, from a content perspective, awareness and acquisition function in tandem. Online visitors become aware of you by reading content – like blog posts – meaning you have “acquired” them. Let’s say you’re already seeing traffic at an acceptable level, but visitors are falling off at the “engagement” part of the funnel. They read the content they came for, leave, and perhaps never return. Why does this happen? After all, your website is well-designed and aesthetically pleasing. Your firm is well-qualified at what they do. What’s stopping the site visitor from engaging at a deeper level? Maybe you’re not telling them what to do next. Perhaps your original piece of content that drew them in was a neat synopsis of the landlord-tenant relationship. Your hypothetical firm is geared toward high-end clients, so you want to bring in the landlord. Content marketing at this stage of the funnel might be a white paper that explores the rights of the landlord in greater detail. This is where you should explicitly tell them to download the file in exchange for their email. You can do this in a call to action at the end of the blog post or a side bar. A white paper download would constitute effective “engagement” on the part of the visitor. This means that the original piece of content did it’s job in acquisition. Be sure your Google Analytics account tracks how many users navigated through these funnel stages. There’s still more work to get the visitor to become a client, but by setting up the GA goal, you’ll know the problem isn’t a lack of engagement. As you get more downloads, you acquire more email addresses. Now comes the possibility of having a newsletter to keep in contact with the visitor. Or, if you have the resources, there might even be a personal outreach effort to see if any pressing legal issues might make a consultation beneficial. Content marketing must be strategic. News publishers may be able to post volumes of content on hot-button topics that are here today, gone tomorrow. This works for them because they’re monetized through programs like Google Adsense. A niche business isn’t in position to generate that much content. So work smarter, not harder. A long view of the content creation process – and its alignment with the sales funnel – is necessary to making your website work for you. Set up a winning Google Analytics account. Call us at (443) 475-0787 or Contact Us online.